Powerlifting has exploded over the last few years with more new clubs and teams popping up all over the country. It is fantastic that the sport is growing so quickly with clubs not only springing up in gyms and private facilities but at University level as well. In 2012 I decided to compete in a powerlifting competition. As a result a small group of my clients started meeting up on a Sunday morning to train together. This led the pathway to the A.B.S Powerlifting team we have today. We are now one of the biggest powerlifting clubs in Ireland with over 45 competitive lifters. 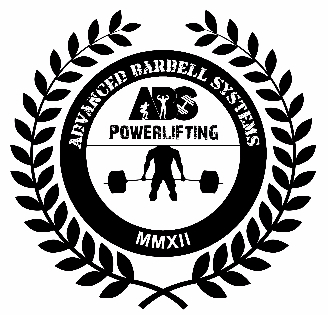 When I formed the A.B.S Powerlifting team I did not imagine it would grow as big as it is today. It was merely a chance that a few of my clients decided to meet up once a week to lift some weight and drink coffee. Below are some some things you can take into consideration if you’re in the process of setting up a club or team. It takes time and patience to build a club. Anyone can put a bunch of people together but that doesn’t necessarily make it a club and especially not a team. You will more than likely start of with a few people. Don’t panic if a few people leave, this is quite normal. I only have a handful of the “Originals” from when I started the club. The ones that stick around are the ones you will build your club around. To build a real team and club, the lifters will have to go through training blocks together, hit high and lows together and most importantly help each other out. These basic things will gel a team and be the foundation of your club. This takes a period of time and patience and can’t be rushed. I believe most people join a club as they have ambition or want to get better. Your club should install ambition and a mentality of not being happy with just taking part. These common goals should be followed by all members of the club. Even the beginner lifters should have that ambition to be as best as they can and get to their highest possible level. Having goals to hit within your club is key to bringing out the competitiveness and drive that is needed. Team standard – These is a set of standards that you need to hit before you can join the team training group. No matter what level your lifters are give them goals and something to work towards. For any type of club or team to succeed you need to have some type of structure in place. For example having set training days and a Club training system is a good place to start. This may take a while to work out but any structure is better than no structure. Our training days consist of Tues, Thursday, Friday and Sunday morning. These are set in stone with Monday, Wednesday and Saturday being optional. On these days certain team members coach beginners after they have trained together. We have our own training system and everyone follows it within the club. This allows us to make changes based of everyone’s feedback and performances. Having a standard training system even if it’s not your own is much better than club members all running individual programs. For a club to work you can’t have any ego’s. One person can really disrupt your club and team. Having egotistical lifters will only divide your club and you will find yourself giving them more attention (Not the good kind) than other lifters. Having strong personalities is a different story, as long as everyone respects each other and are willing to help others when needed. You can still be serious and have a laugh in training. Having banter with team mates and having a laugh will keep people with your club as well as building a positive training environment. This may not work for everyone so don’t be surprised if it’s not everyone’s cup of tea. If you are head coach or running the club just ensure you can be serious when you need to be. When you set up a new gym, team or club equipment is most likely going to be cheap and cheerful. Even the basic equipment is expensive. Ensure over time you invest in your equipment and buy what’s necessary. When our club first started out we did most of our training using lb plates,bumpers and 15kg bars. In 2014 we asked a physiotherapist to come on board and work with our club. This was one of the best decisions I ever made. Having healthy athletes will allow them to keep progressing.When everyone is making progress and not being held back with easily preventable injuries then the rest of the club will have that same positive mentality. “He alone, who owns the youth, gains the future” If you want your club to grow and be successful you must invest in young lifters. This is something we have worked on this year and now have a great little junior academy emerging. Today’s youth are lazy and very distracted! Between chasing Pokemon and picking filters on their Instagram photos it’s hard to get kids involved in sports and clubs. This means you have to go and find young lifters and find a way to make your club attractive for younger athletes. Recently we started our Junior Academy. This is a free training scheme that allows any kid to join and get coached on a weekly basis. Thank you for reading this article and I hope you can take something away from it. If you have any questions on setting up a club or think I have missed something then let us know.